Victoria's proposed clean energy payment scheme, designed to encourage more people to install solar power in their homes, has been roundly condemned by the renewable energy industry. Xantrex Technology Inc. announces the launch of its latest innovative product for the off-grid and backup power markets. The Xantrex Trace Series Inverter/Charger is a durable, reliable, and economical power conversion solution for renewable energy and backup power applications. Xantrex Technology Inc. is expanding its renewable power product line with the addition of the Xantrex GT3.8 Grid-Tie Solar Inverter. 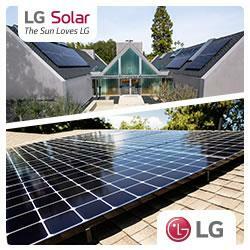 The new GT3.8 offers improved solar energy system sizing. UniRac Inc. has provided their PV mounting technology to Studio 804, a non-profit organization through the University of Kansas, as part of an initiative to help rebuild Greensburg, Kansas; a city that was destroyed by a devastating category F5 tornado that struck on May 4th, 2007. NSW Premier Morris Iemma's comments that NSW will face black-outs in five years if the state's electricity sector is not privatized have been branded "irresponsible scare tactics" by one Australia's largest solar power companies, Energy Matters. Massachusetts deck construction and home improvement contractor Pristine Home Solutions says requests for eco-friendly products and construction practices are on the rise. Solectria Renewables announces the installation of over 1.2MW of its signature premium efficiency solar PV inverters (PVI 60kW, PVI82kW & PVI95kW) at Sierra Nevada Brewing Co, located in Chico, CA. Go Green with a Water Saving Faucet Aerator!! No medium other than videos are so versatile for the demonstration of products and services, according to Recycleinme.com, the online scrap product trading community. JIMPEX BIO-TECHNOLOGY venture into business in 1974, as an organization for researches, developments and designing on natural science and engineering basing on science-intensive and radically new techniques and processes for renewable energy and co-generation system technology. Trashinme.com, the portal to the meeting ground of trash removers and trash removal service seekers. It helps people to find the trash removers in their locality with ease. In this newly created position at CSG, Moreland will oversee the development and implementation of residential energy effficiency programs throughout the City.